As the world becomes more and more connected, having the right cloud and storage infrastructure is more important than ever for acheiving your goals and maintaining your competitive advantage. At BizBrain we understand how important it is to have the right tools to execute your business. But choosing the right tools can be difficult among all the marketing clutter. That’s why we’ve put together our Complete Guide to Cloud Hosting and Online Storage Providers for Businesses. 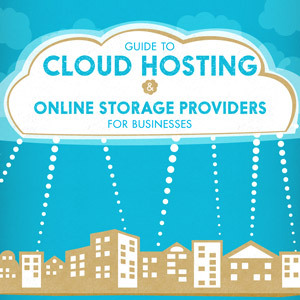 As a supplement to the text of the guide, we’ve also put together this infographic to help our readers visualize the basic concepts and ideas behind cloud hosting and online storage. After looking at the visualization, be sure to visit the original Cloud Hosting and Online Storage Provider Guide for a more detailed review.